Commercial property choices in Leicester are plentiful, whether you're looking to rent or buy. You might want to find an office space in Leicester to expand your business. MOVEHUT allows you to search for commercial properties by size, giving you more control of your search in Leicester. With MOVEHUT it won't matter what you need, as we have enough choices of commercial properties to buy or rent in Leicester, so you should easily be able to find your ideal property. Leicester is the largest city in the East Midlands and the UK's fifteenth largest urban area. 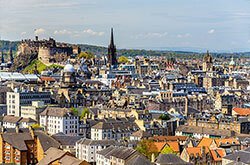 It is one of the oldest cities in England, with a history going back over 2,000 years. Find a property for sale in Leicester right away with MOVEHUT, regardless of what kind of property you need. With many different search options, MOVEHUT makes your search for a commercial property in Leicester quick and painless. If you need to make your search more specialised then you can narrow it down by postcode or search radius in Leicester. So use our features to find a great commercial property in Leicester. There are many different property types in Leicester listed on MOVEHUT. There are many options to choose from at MOVEHUT, whether you're looking for an industrial property or a shop. We also have commercial properties in Leicester that are great potential investment properties or land for sale. We have hundreds of commercial properties of different types to suit everyone, so start looking for your Leicester property now. Simply get your commercial property rental hunt in Leicester started right away with MOVEHUT. Our commercial properties to let in Leicester offer you the widest choice and selection. Start your property search right away with MOVEHUT, and make sure you find the commercial property in Leicester that you're looking for. Leicester's population, at the last Census, was just under 300,000 people. The majority of people, 62 per cent of the population, classed themselves as having a white ethnicity, with South Asian the next most common ethnic group at 29.4 per cent. Leicester boasts the largest economy in the East Midlands. Engineering, financial and business services are the largest industries, with Royal Bank of Scotland, HSBC and Trelleborg operating large businesses there. Leicester caters for a range of educational needs, from nursery school through to higher education. Leicestershire is consistently above the national average for the Educational Foundation Stage and Key Stages 1-3. Leicester is home to both the University of Leicester and De Montfort University, the latter of which opened in 1969 as Leicester Polytechnic and received university status in 1992. Students at the University of Leicester are also able to use facilities at the National Space Centre, located nearby, as it is one of the only universities in the UK to specialise in space sciences. There is a huge range of secondary and primary schools in Leicester, with high standards across the board. Key Stage 3 results are amongst the top 5 per cent in the country, and over 200 schools in the area are rated as "outstanding" or "good" by OFSTED. Leicester City Council is the presiding local authority. The city is divided into 3 Parliamentary constituencies – Leicester East, Leicester South and Leicester West. The city is built upon the banks of the River Soar, and the National Forest is only a short distance to the west. 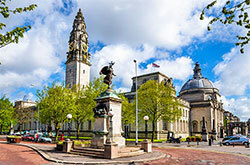 Leicester enjoys a fairly stable climate, with mild winters and relatively cool summers, although temperatures of 34 degrees have been recorded in the height of summer. While levels of sunlight can be relatively low, rain is spread throughout the year, which keeps the surrounding green areas blooming all year round. Leicester is well served by motorways, with the M1 and M69, which connects to the M6, both in close proximity to the city limits. Leicester has two main bus stations, St Margaret's Bus Station and Haymarket Bus Station, both of which run regular services around the city and to destinations in the East Midlands. East Midlands Trains provide InterCity and regional services, including several to the West Midlands. The Midlands Main Line connects to Bedford, Luton and London in the south, and Lincoln, Sheffield, Leeds and York in the north. East Midlands Airport, by Castle Donington, is in North West Leicestershire and provides national, European and international flights. The Leicester Tigers, one of the most successful rugby union teams in Europe, are based in the city and enjoy a large fan base there. Leicester City Football Club and Leicestershire County Cricket Club also hail from the city. Leicester is a highly multicultural city, and the diversity of its attractions and events shows this. Melton Road, near the city centre, is the main shopping hub of the city, with many commercial properties designed to showcase a range of ethnic backgrounds and cultural influences. A range of clothing styles, cuisines and traditional wear from a multitude of faiths can be seen on this road, which demonstrates the diversity of the city. Leicester is home to several festivals annually, such as the Leicester Comedy Festival, Pride Parade (Leicester Pride), and a Caribbean Carnival – the largest in the UK other than London's. Leicester's local newspaper is the Leicester Mercury, and the city has several radio stations broadcasting on FM, including BBC Radio Leicester and Takeover Radio. Arguably, the biggest band to have come out of Leicester is Kasabian, who won the Best British Group Award at the 2010 BRITs. Leicester has several venues that cater for anything from small local gigs to international artists' stage shows, examples being the O2 Academy and De Montfort Hall. Leicester has several theatres, including an innovative performing arts centre, Curve, which replaced the Haymarket Theatre in 2008. Other venues include the Y Theatre, the Little Theatre and Phoenix Square, which shows international arthouse films. 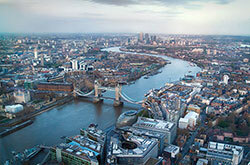 Museums include the Guildhall, Newarke Houses Museum and the Jewry Wall Museum.